Custom MMIC will be attending the 2018 International Microwave Symposium in Philadelphia, PA, June 12th through 14th. Custom MMIC representatives will be ther to meet and discuss their latest developments in RF and microwave MMICs, including ultra-wideband amplifiers, GaN mixers, GaN low noise amplifiers (LNAs), switches, and low-phase noise amplifiers (LPNAs). During IMS, industry leading companies will represent state-of-the-art materials, devices, components, subsystems, as well as design, simulation software and test/measurement equipment. 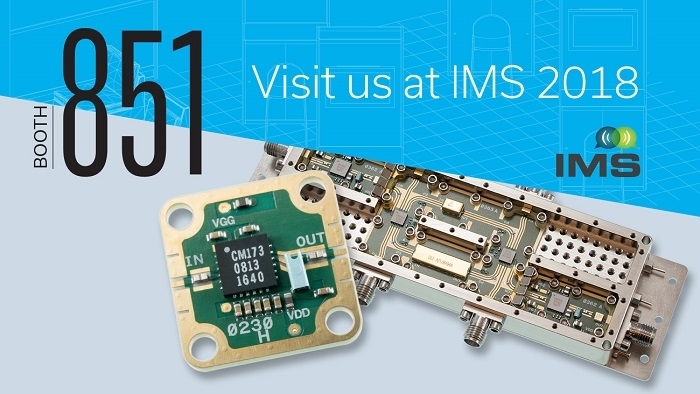 IMS 2018 will draw more than 800 industry leaders, showcasing the latest developments in microwave devices and products, explaining the technology behind their devices and highlighting their applications. Custom MMIC is happy to be among them. For more updates about IMS 2018, click here.